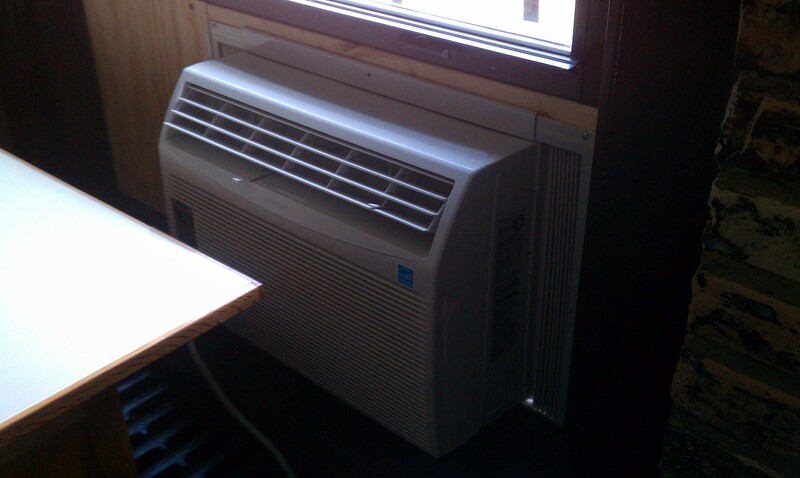 We finally broke down and had the air conditioner installed in the office. We have had great weather allowing us to open the windows letting the fresh air keep us cool but the office temperature is too high for us to think straight (at least that is what we claim the reason is). Hopefully a cool down will come, we can get the windows open again and let the surrounding environment back into the office.